While growing up, Anders Antonsen would often have his eyes transfixed on the television set as he watched badminton's 'Big Four' Peter Gade, Taufik Hidayat, Lin Dan and Lee Chong Wei showcase ludicrous skills at numerous tournaments. He would spend hours learning the tricks of the trade but always wanted to grasp the art of dealing with pressure on the court. On Saturday, the 21-year-old Antonsen faced the task of taming Lee Hyun Il – an old-timer, who competed against the Big Four during his heydays – and the unhurried style of play that comes with the Korean ace. The young Dane though, unfazed by the veteran's tight defence thanks to his stoic approach, smashed all corners but Lee had the control of the game. The clash between the two generations in the Premier Badminton League would decide the fate of the semi-finals. 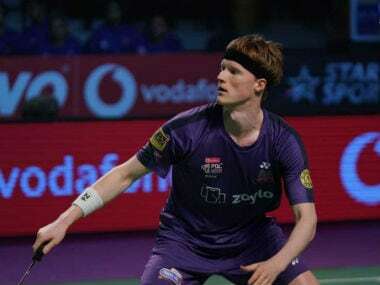 Antonsen, who plays for the Mumbai Rockets, found himself in familiar territory – under pressure. After the mid-game break, the Dane switched gears and grew into confidence to take the opening game. Lee could not up the ante in the second and wilted as the game progressed. The Mumbai camp jumped in delight as Antonsen guided his team to the final with a deserved 15-13, 15-6 win. After a rough start, it was Antonsen's youthful exuberance that smothered Hyderabad Hunters' Lee in the end. He oozed confidence on the court and executed what he learnt from his sporting idols. Dealing with tough situations. He has learnt it the hard way, after all. In fact, the Dane doesn't shy away from calling himself the 'next big thing' in the Danish badminton scene. He relishes the exciting challenge of playing under pressure. "I kind of put a little bit of pressure on my own shoulders by calling myself in that way," he chuckles. "But I believe that if you want to become the best, you need to deal with that amount of pressure coming your way. I consider pressure as an exciting challenge and the process of winning thereafter." Since Denmark's No 1 Viktor Axelsen could not replicate his dominance of 2017, it gave Antonsen the chance to establish himself. The lanky shuttler is one of the brightest prospects to emerge from Europe in the last couple of years. After grabbing silver at 2017 European Championships, the 21-year-old has been a constant presence in the top-20. He was ranked 25 before that event. The youngster didn't play to his potential last year as he had to deal with a few off-court complications after deciding to move to Copenhagen – the national camp in Denmark. "I started out the first half of 2018 not as good as I had hoped for. I have been dealing with a migraine. I've just been stressed about that off the court. But by the end of the year, I managed to play high-level badminton," says Antonsen, who reached the semi-finals of the Denmark Open. The six-footed shuttler decided to move from Aarhus – a three-hour drive away from the capital city – three years ago, where he spent nearly two years with his brother. He has been away from his home for years now, trying to settle into his own with the persistent migraine issues. "It has been 6-7 years," scoffs Antonsen before adding, "I moved into my own apartment in Copenhagen a year ago and lived for myself which seemed more stressful for a young kid like me." The off-court stress led to a migraine, which restricted him from moving comfortably on the court. "I always got bad headaches during matches and they came too often." Despite enduring a tumultuous time in 2017 and 2018, with a migraine and an independent lifestyle, the 21-year-old never thought of giving up on the sport. Badminton runs in the family. Antonsen's father owns a local club in Aarhus, where he picked up the racquet for the first time. "The club was near our house. And my parents love badminton. That's how I got addicted." The club culture is so popular among all age groups in Denmark, Antonsen was always going to be a part of one. "My father runs a badminton club, my mother played badminton too and my older brother did well in the sport. If they had played football or volleyball, then I would have been playing that sport. They were a big influence on me. It runs in the family." Having played in the Danish league, Antonsen sees the PBL as a great platform not only for the Asians but also for the handful of Europeans. "PBL is much different than the other leagues. It's scheduled for a few weeks, while the Danish league runs for a year where we play a few matches and wait for months," says Antonsen. Not only that, the Indian league has been attracting more players as they are well-paid and more competitive. "When I asked the players who have played in the league before me, they said that it's going to be a fun experience. Staying four weeks away from home during the Christmas and New Year's seems like a long time, but it's a great challenge. There are no complaints about the format as it's an important factor." From playing for his dad's club to breaking into the top rung of the men's singles circuit, Antonsen has come a long way to live an independent life. "By doing things on my own, I'm much more aware of when I'm stressed and when I need to take a step back and relax a little," he says. After guiding Mumbai Rockets to the final, another challenge beckons for the youngster. 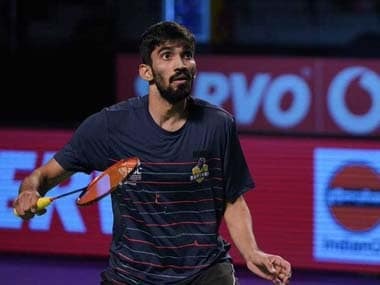 The high-flying Bengaluru Raptors, led by India's No 1 Kidambi Srikanth pose a threat to the Mumbai outfit. Although Antonsen won't be up against the sturdy Indian, he'll be put under pressure by Sai Praneeth. And once again, the Dane could well and truly decide the fate of the tie.